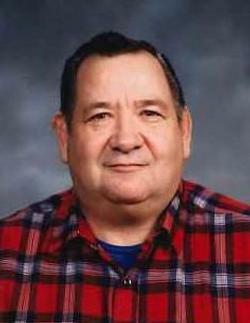 Larry R. Jurgensen, the son of George and Caroline (Holtgrewe) Jurgensen was born December 22, 1935 in Paullina, Iowa. Larry grew up on a farm outside of Paullina and received his education at the Iowa School for the Deaf in Council Bluffs, Iowa. While in school he played football and basketball. He returned to farm with his father in the Paullina area. He had fond memories of fishing in Canada and hunting deer with his Dad. On November 6, 1971, he was united in marriage to Carol Wessling in Sioux City, Iowa. After their marriage the couple settled on the family farm outside of Paullina and farmed until moving into Paullina in 1991. Larry was employed as a janitor at the South O'Brien Schools for six years before his retirement. His wife preceded him in death on April 11, 2006 in Paullina. He remained in the family home and passed away there on Thursday, September 28, 2017 reaching the age of 81 years, 9 months and 4 days. Larry is survived by two step sons, Mark (LaDonna) Bradbury of Paullina, Iowa and Mike (Brenda) Bradbury of LeMars, Iowa; two grandchildren, Tina and Aaron; nine great grandchildren, Raeonna, Lilly, Ayla, Preston, Tristan, Nevaeh, Rylee, Ekko and Remington; also many nieces, nephews and other relatives and friends. He was preceded in death by his wife, parents, one brother, Lloyd Jurgensen and one sister, Lorraine Jurgensen. Graveside services were held last 11:00 A.M. Tuesday, October 3, 2017 at Prairie View Cemetery; Paullina, Iowa.Â Rev. Daniel Wagner Officiated the services. Thanks to Eldridge Family Funeral Homes, Paullina, Iowa and Ruth Hayworth for the information.